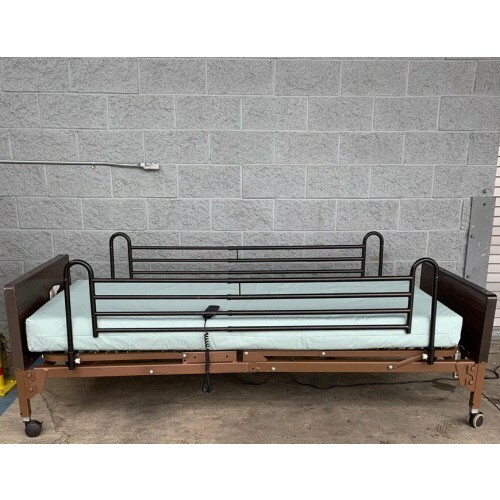 Ideal for low risk patients with no bed sores, this high quality, 312 coil innerspring mattress features a durable, vinyl cover to ensure firm and comfortable support for users. Ideal for low risk patients with no bed sores, this high quality foam mattress provides comfort and durability in a one-piece construction. Ideal for medium to high risk users with no bed sores, this mattress features special zoned layers of high density foam for aid in pressure relief on areas susceptible to pressure ulcers and soft head and foot sections for ultimate comfort. Ideal for users at high risk of developing pressure ulcers, this mattress features a unique contoured foam insert designed to provide excellent user comfort and optimize pressure reduction. 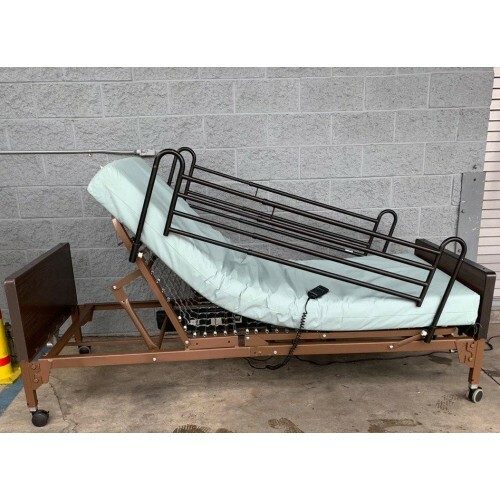 Ideal for users with Stage III or IV pressure ulcers, this mattress features a state-of-the-art compressor and quick connect coupler for easy setup and effective therapy cycles. 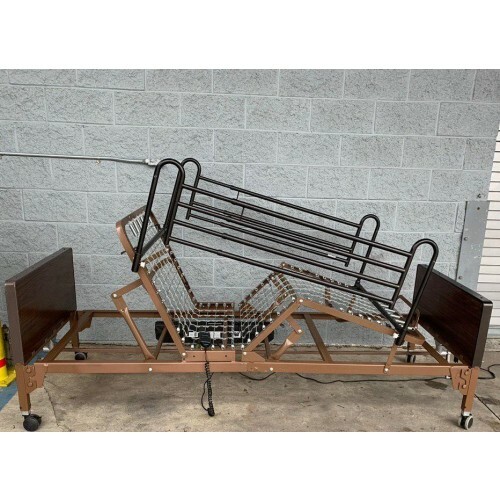 Choosing a side rail is a relatively easy decision, both full-length and half-length side rails collapse down for the user to get in & out of the bed easily. 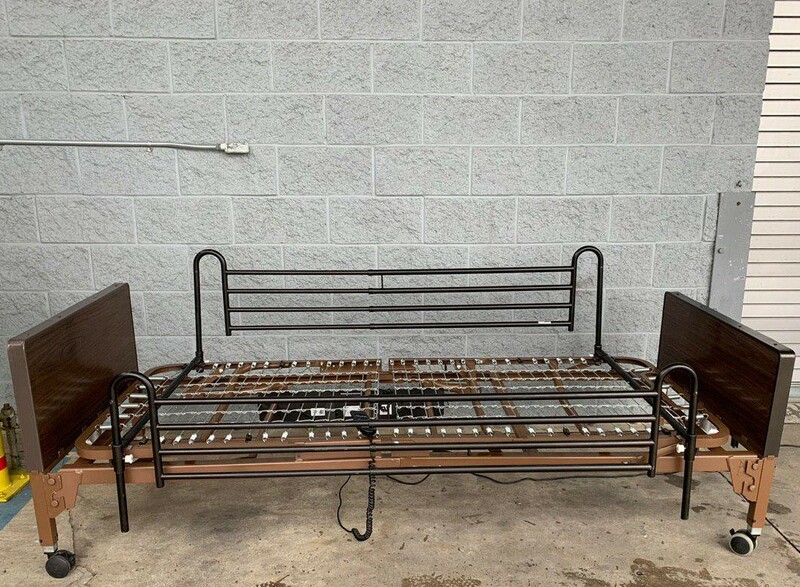 Both side rails come in pairs for each side of the bed. The most common type of rails are half-rails. 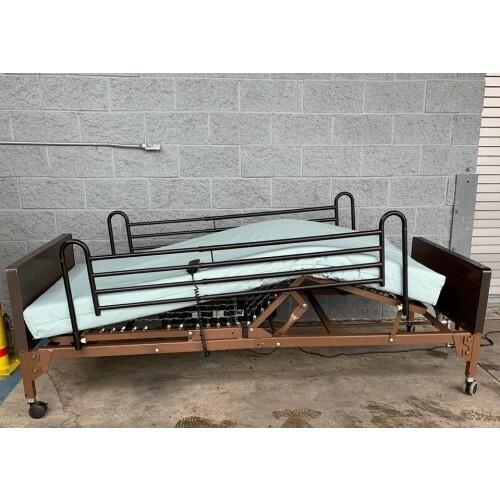 If the person using the bed is mobile and capable of getting in and out of the bed on their own, half side rails might be the option for them. 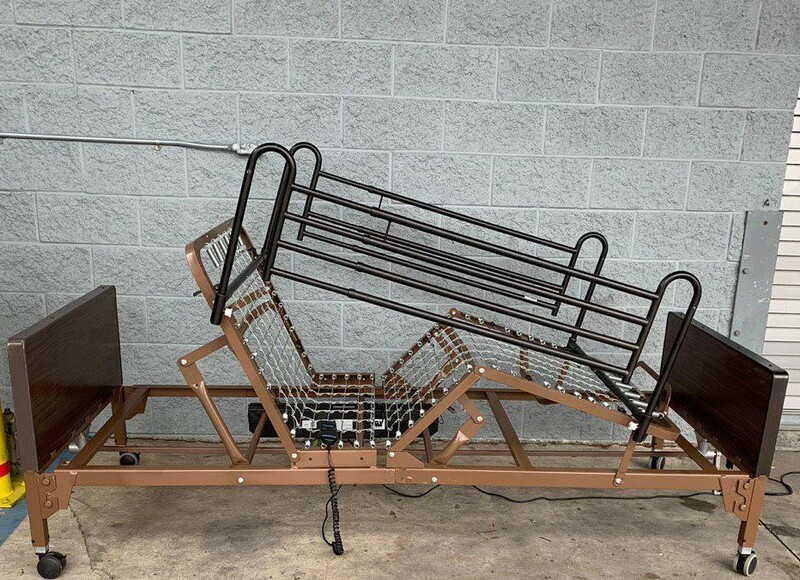 For individuals who are not as mobile, full-length side rails might be a better choice. 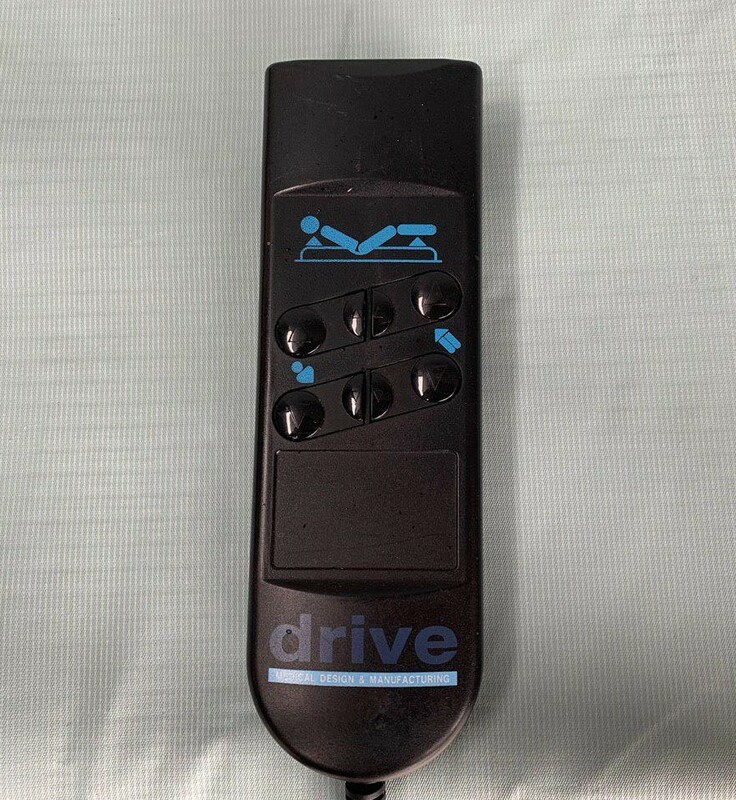 It does a great job of keeping the user safely inside the bed and prevents them from falling off. 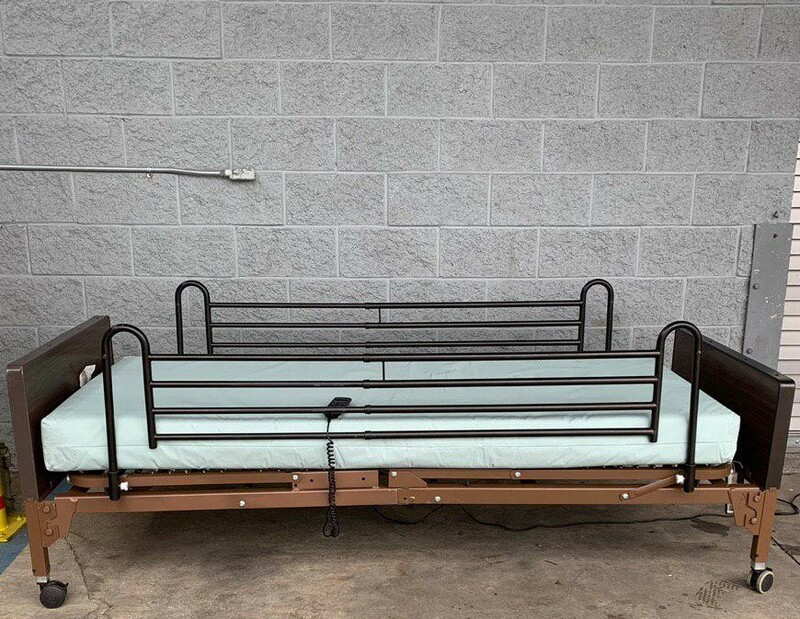 The Semi Electric Bed is perfect for anyone who needs a hospital style bed at home or in a nursing home. 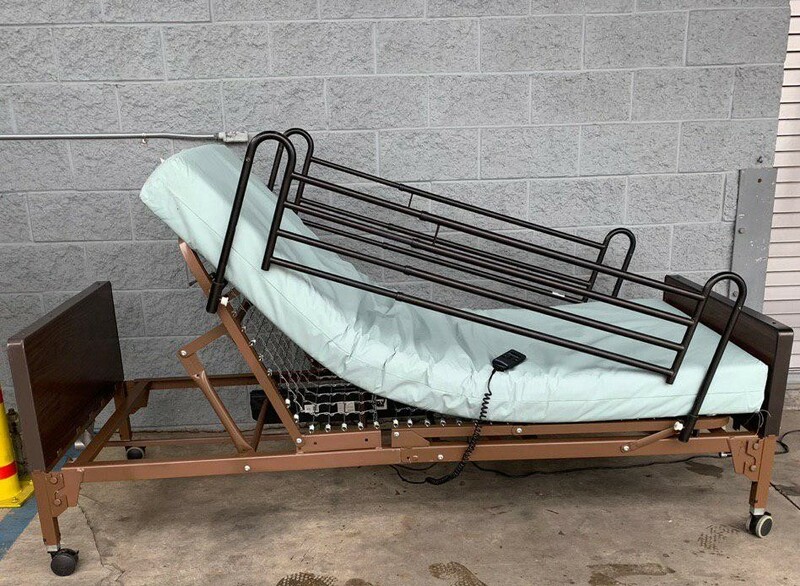 The Semi Electric bed has a motor which is quiet and smooth when operating the adjustment of the head and foot sections of the bed, while the height of the bed is adjusted manually. 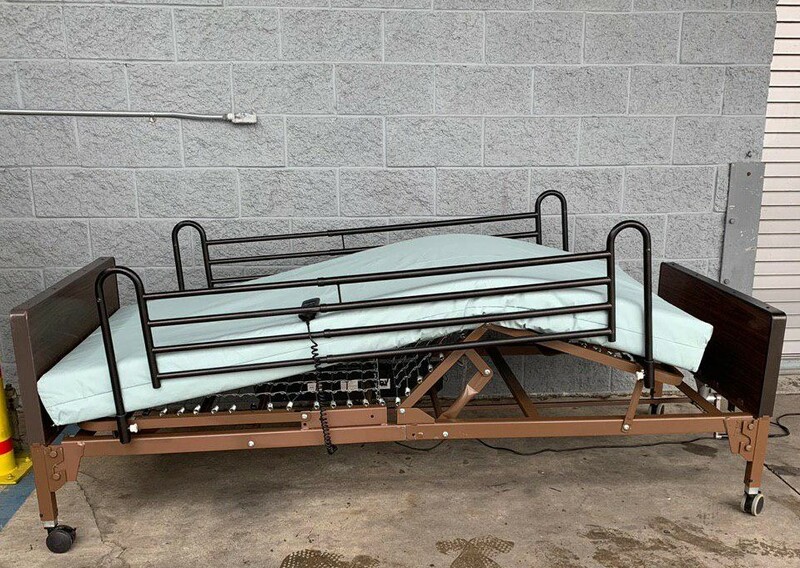 The frame of the bed provides superior strength and reduced weight due to its construction, while the spring deck is zinc coated to provide durability and to reduce corrosion effects. 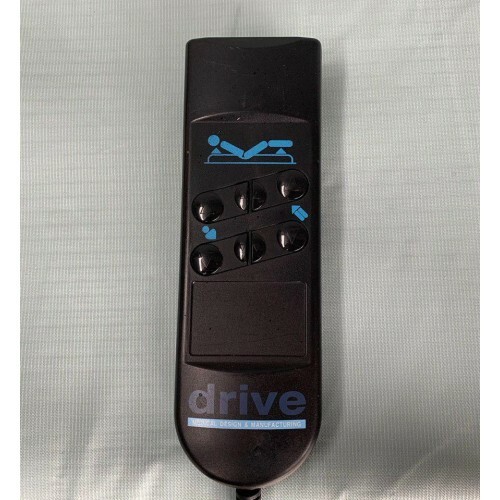 The hand control is easy to use and will operate the head and foot sections at the same time. 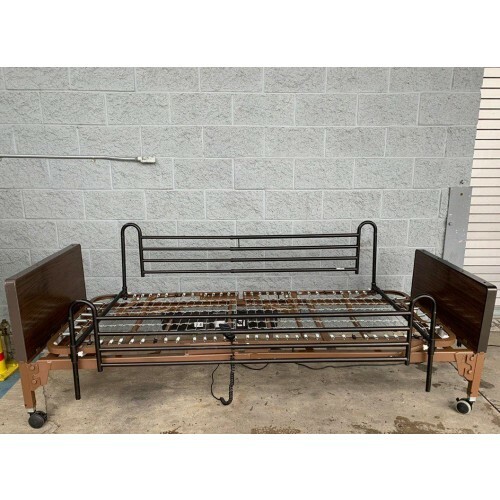 Bed Height 16" - 24.5"